Jessica qualified in 2008. 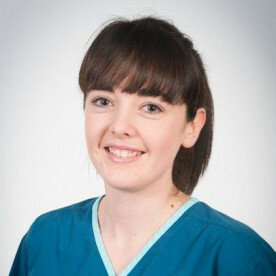 Whilst working for Fitzpatrick Referrals she was a part of the clinical team to establish the oncology hospital in 2014 and continued working in the post of senior nurse clinician until January 2019. She completed her Masters in Veterinary Nursing in 2016. She has previously presented at BSAVA congress. She has a keen interest in soft tissue, oncology, research, teaching and education.